In a post-Grenfell London, this year’s Frieze Art Fair feels more incongruous than ever, but what of the art inside? Chris Sharratt reports. 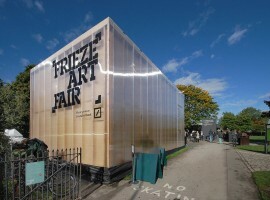 It’s that time of year again when London’s Regent’s Park is taken over by two vast temporary marquees as the international art world descends on the capital for Frieze Art Fair and Frieze Masters. 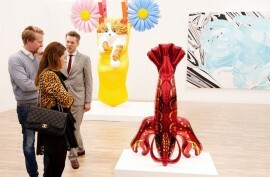 We take a look at Frieze and the other art, craft and design fairs taking place across the city this week. 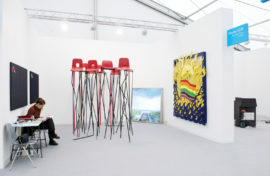 This year’s Frieze Art Fair features over 160 galleries, includes a new ‘The Nineties’ section, and continues until Sunday. Chris Sharratt reports. As the international art world descends on London for Frieze Week – which for 2016 takes place a week earlier than previous years – we take a look at the art, craft and design fairs taking place in the capital. 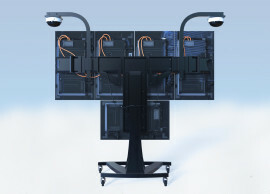 The 2016 Frieze Artist Award goes to Yuri Pattison for a networked project that aims to reveal trending consumer data from Frieze London live during October’s edition of the fair. 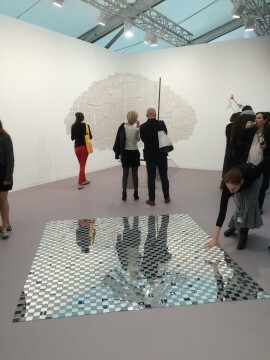 Frieze London is back for its 13th edition with 164 galleries from 27 countries, plus a rejuvenated Frieze Projects programme of artists’ commissions. Chris Sharratt reports. As the art world descends on London for the 13th Frieze Art Fair, we take a snapshot of art fair activity happening across the capital this week. 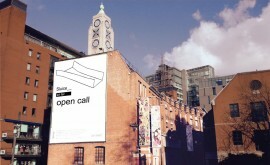 Sluice_ art fair is to return with its DIY ethos for Frieze Week 2015 and has issued a call for participants from the artist/curator-led and emergent gallery sector. Thanks to the Outset/Frieze Art Fair Fund, Tate has purchased its 100th artwork from the London art fair, adding works by five artists to its collection. As this year’s Frieze Art Fair introduces ‘Live’ – a new strand of performance-based installations – Jennifer Picken assesses the state of play and provision for performance and live art in the UK. 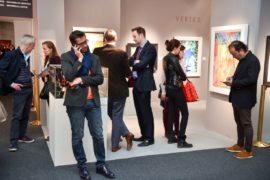 This year’s Frieze London art fair is as big and busy as usual, and includes some impressive booths from artworld big hitters as well as a first for a non-London English gallery. Chris Sharratt reports. As the art world descends on London for the 12th Frieze Art Fair, we take a snapshot of art fair activity happening across the capital. The Other Art Fair returns to the Old Truman Brewery for its second year during ‘Frieze week’ in October, while this year’s Frieze Art Fair includes the fair’s inaugural Artist Award winner and a new Live programme. 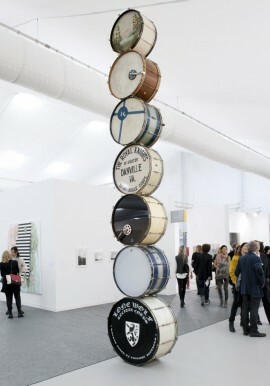 As the eyes of much of the artworld were on Frieze, the artist-led Sluice Art Fair returned for its second edition, with a mission to encourage a sharing of ideas between artist-run scenes. 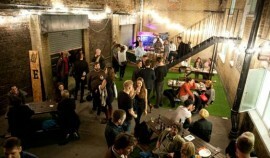 Dany Louise reports on the weekend event in Bermondsey. 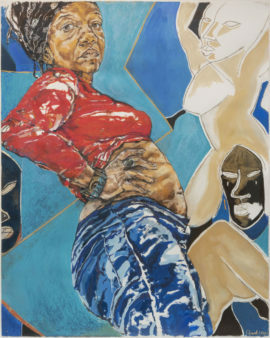 Tate acquires new works by Terry Adkins, Christina Mackie, James Richards and Sturtevant through the Outset/Frieze London Fund. 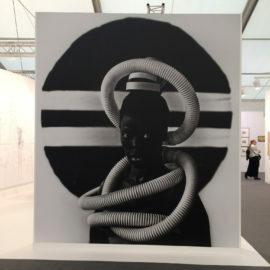 Is Frieze Art Fair useful in any way to artists and is it good for artists and art? Filmmaker, artist and Frieze first-timer Gillian McIver roams the gallery booths and curated projects at the fair’s vast Regent’s Park marquee and finds the experience useful, enlightening and at times troubling. 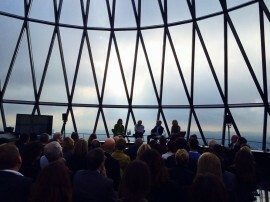 A panel including the artist Richard Wentworth, art collector and patron Robert Hiscox and Yorkshire Sculpture Park’s Director of Programmes Clare Lilley, have been debating who should fund public art and what its role should be. 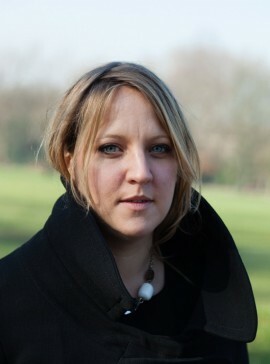 This year’s Frieze Projects, the curated programme at Frieze London art fair, is programmed by former senior curator at Serpentine Gallery, Nicola Lees. 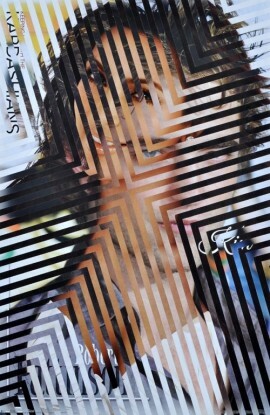 We talk to her about this year’s artists and presenting work in an art fair context. 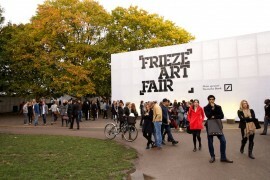 This week is ‘Frieze week’ in London, and as well as the internationally recognised Frieze Art Fair in Regent’s Park, the city will be awash with other fairs, some artist-led and focused, some themed, and some unashamedly commercial. 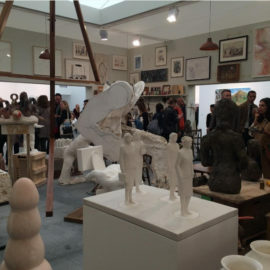 After last year’s hiatus, the artist-focused art fair returns to London during Frieze week, offering a snapshot of grassroots practice in 2013. 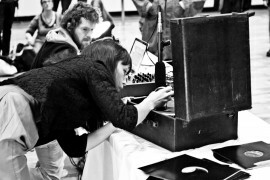 We find out more from Sluice co-director Karl England and talk to some of this year’s participants. 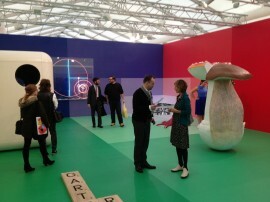 The just announced commissioned projects for this year’s Frieze London art fair have a child-friendly, playful feel. Is it time to challenge the art elite? 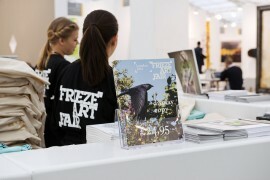 What do the recent Frieze Art Fair acquisitions by Tate, funded by philanthropic contemporary art fund Outset, tell us about the art market, the place of artists within it and the influence these organisations wield? A painter and non-Frieze exhibitor writes.